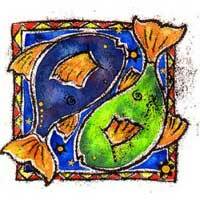 Pisces natives influence you in which home, long term projects and safety are concerned. Neptune joins Jupiter and together symbolize new horizons. You analyze your past and thanks to Pisces you accept new points of view. The two signs do not make a good team. 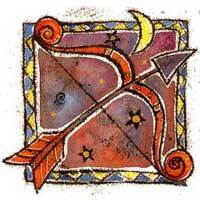 Normally, they have problems in mixing the elements characteristic to their sign (fire- Sagittarius, water- Pisces). But in which property, safety and home are concerned, they make a good combination. Similar to Scorpio, you find Pisces rather mysterious, which makes this person attractive. You want to solve the mystery and, in exchange, they see you as a means towards fulfilling their dreams. You both have your own reasons for these aspects of your relationship. What is sure is that neither of you is altruistic in these matters. Each of you has his own reasons for your actions and if you're mature enough to be aware of that, you're more likely to succeed as a couple. There might appear conflicts in matters such as "who's the boss". You tend to be independent and a bit selfish. When you are ready to settle down and change your point of view, Pisces might just be the one. Otherwise, you could feel restricted and even abused. The good thing is that they make a good home and help you invest in something that will increase security. When in a relationship with Pisces, you could always ask yourself where you are heading to.